I love taking photos. 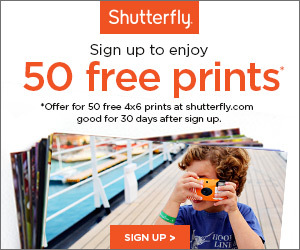 I print my DSLR photos on a monthly basis using Shutterfly. I make a point to try to take my camera out even in the most boring cold winter months. I’ve stopped making albums but I like having printed copies to look back on. But what about all those pics we take and share on Instagram? It’s my#1 picture taking spot and I was losing all those photos each month. What if the site decides to stop running? Then they are really gone. I decided I needed to find a way to save them all. Since I love making photo books for all our vacations I thought it would be fun to try and figure out a way to save all my Instagram photos in one. I started in January 2013 so I’ve officially done this for a year straight and I cannot tell you how happy I am that I started doing this. Over the course of the year I’ve only made a few changes in the way I make them but I couldn’t be more pleased with my end results! 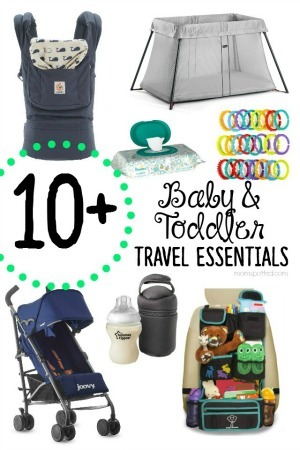 To start, head on over to Shutterfly. 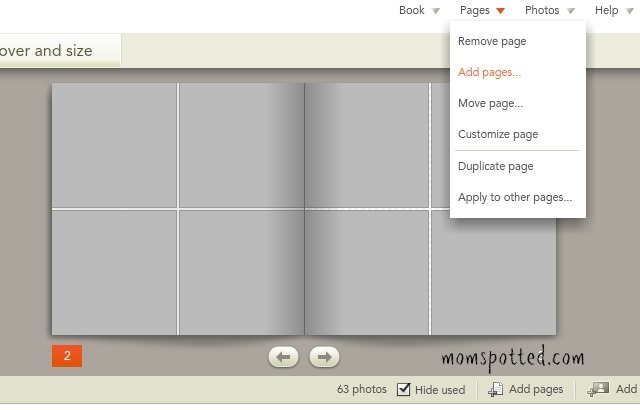 Click the option to make photo books in the menu at the top. When you see the below screen pick ‘Custom Path’. If you pay attention you can often get free codes for this size. It’s square. Your square images will fit perfectly. They take up little room storage wise. Next, find a theme you like. I love to change them up. You can’t really see the theme on the pages but it will determine what your cover looks like and the color schemes you’ll be able to use. Since this was January I went with a fun winter theme called Here Comes The Snow. I always go with the Hard Book Cover option. 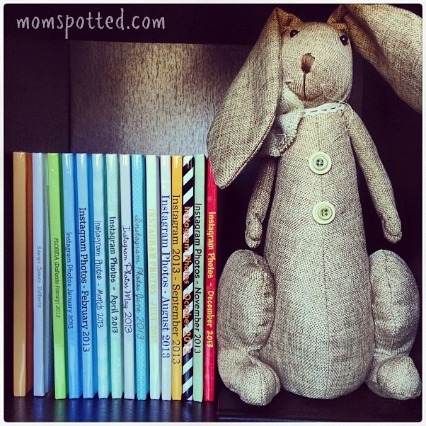 You’ll first want to pic out your design for the cover, back, and binding. Where the #1 is below make sure it’s on ‘pages’ and then over where #2 is click on ‘Backgrounds’. When you have these selected go over to the book and click on the front cover. Choose your design pattern, repeat for back and spine. The custom path comes with embellishments you are paying extra for so I like to take full advantage of using them. You can skip the $5 charge taking the simple path route but you’ll have to adjust the way you make it a bit. 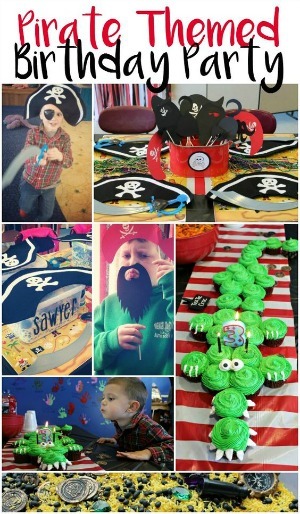 Take a look at your photos and pick out your favorites. Is there one? four? Find the one that will fit best. You can also choose to do this part later if you aren’t prepping. Now turn into the first page which is technically your cover page. I make this my highlights page. If something like a birthday party, vacation, holiday, etc was that month I’d list it here. I usually use my favorite photo(s) that didn’t get used on the cover here. Next move onto your first page after the cover photo. Click the page you want to work on. 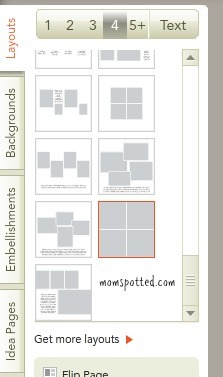 Then on the left side tab click layouts. Then where the #’s are listed click 4. Scroll down and pick the one I have boxed in red. Now do this for every page. 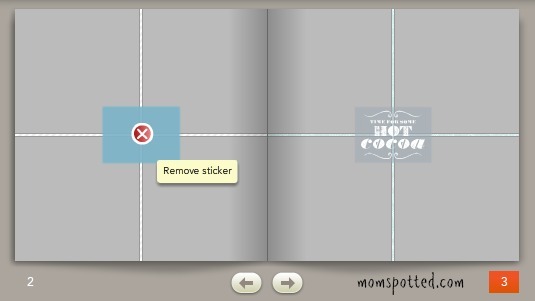 If you are using the storybook feature it will more than likely give you decorative icons on each page in the center. You’ll have to delete those. Just hover over the icon and when you get the red x, click it. Now repeat on all your pages and you’re set up is complete. Now, normally I have 100+ photos and I would add pages. You need a total of 76 or more photos to fill this. If you have less skip this step. In the top right menu and click the ‘Pages’ tab. From the drop down menu choose ‘Add Pages’. If you have more figure out how many additional pages you’ll need. If I’m prepping books in advance I will automatically do 10 pages. Other wise just take how many photos you have and divide by 4. Don’t forget to add one page for your cover page. Then click the option that says ‘to the end of the book’. At this point your photo book is set up. Click save. Title Project. I named mine “January IG 2014” Don’t skip this step. Starting over stinks. If you need to stop due to time this is a great stopping point. However, if you have the time just keep going and finish this awesome photo book! Sometimes when I get a free hour I will actually set up 3-4 months to this point so it makes going back in and making them even faster when I have limited time. Now need to upload your photos. Click the ‘Add Photos’ button on the bottom right side and this box will pop up. Click where it says Instagram, then connect. I always jump over to Instagram (the actual website) at this point and track down what photo I started that month on. 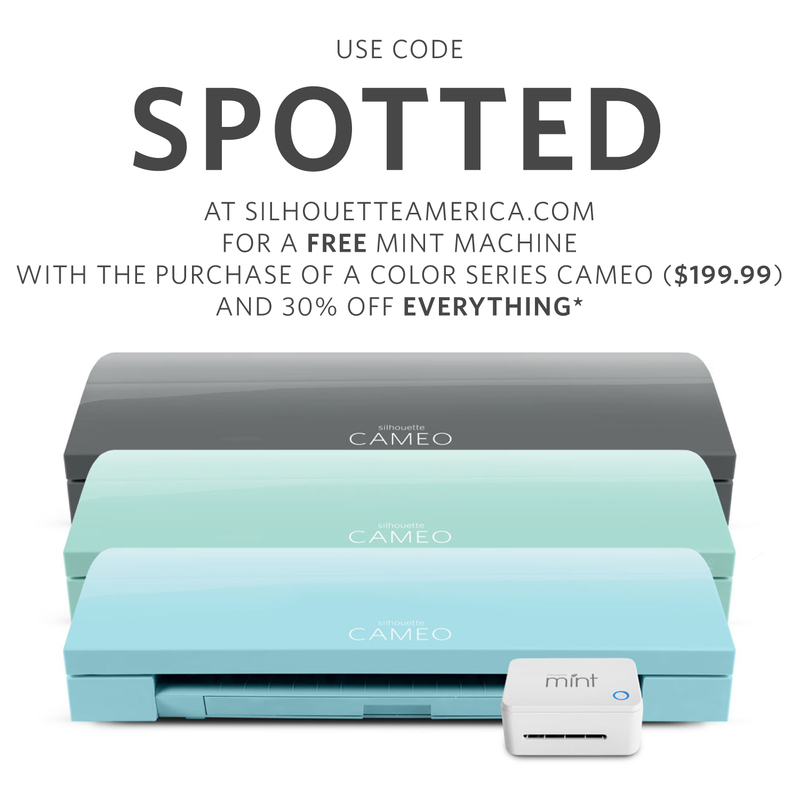 This will let me know where to start on Shutterfly. Instagram actually marks the start of each month. Make sure to also look for the photo you need to stop at. 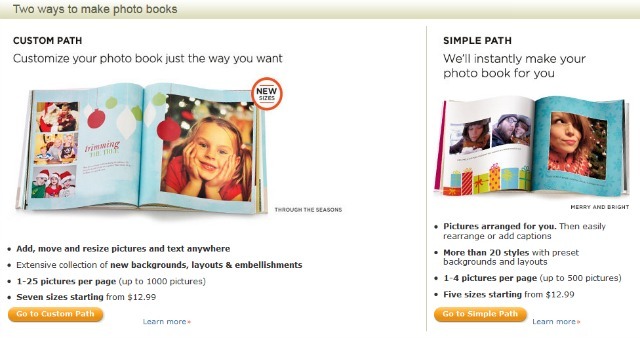 Then go back to Shutterfly. It will pull up all your Instagram photos. Go through until you find the photo that matches up with the site. This is when it’s helpful to not wait long periods of time in between books. 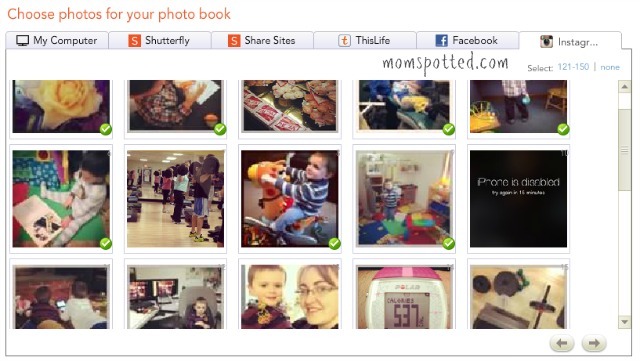 Click all the photos you want to include in your albums. Keep it at ‘Put photos in the photo strip’. Click OK.
My husband also uses Instagram and for the longest time I never included his photos. Now I save all his pics in a folder on my computer and include them. When we look back I love seeing his photos too. To do this click ‘Add photos’ again and this time click on ‘My Computer’. 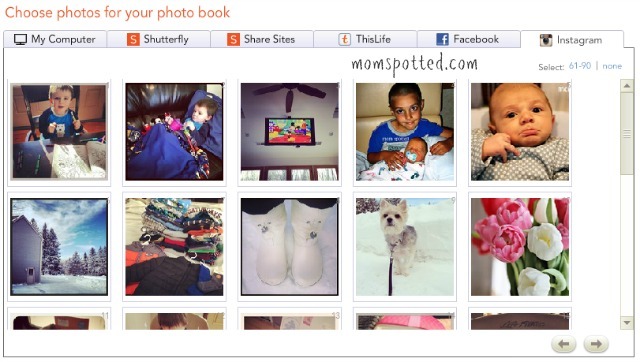 Find the folder you saved your photos too and upload them to Shutterfly. 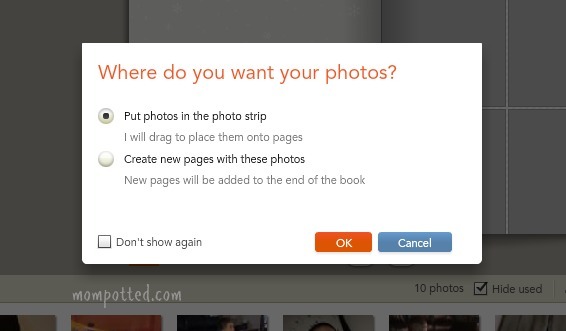 At first Shutterfly will place all your photos and reset everything. Don’t panic! It will offer you the option to place yourself. 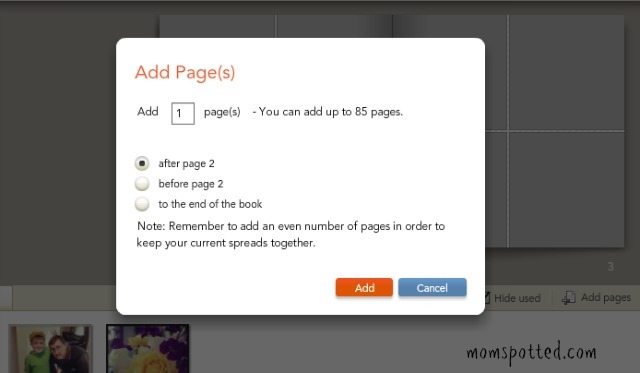 I missed this screen shot but it will put your book back to how you add it once you make that selection. At this point find out how many photos you have total. For January I only have 63 which is WAY low for me. I was really sick and I had the flu so my picture taking was definitely down. Take your number of photos and divide by 4. This let me know that I could fill 15.75 pages. You need a total of 76 or more photos to fill a 20 page book. Now, normally I would go in and ADD one more photo to complete the page. If you go right back in during the same session (if you do this after you’ve been signed out it won’t!) it will show a little green check by the ones you’re currently using. This makes it SO much easier. Click save. If you have less skip this step. In the top right menu and click the ‘Pages’ tab. From the drop down menu choose ‘Add Pages’. How many additional pages do you need? If I’m prepping books in advance I will automatically do 10 pages. Other wise just take how many photos you have and divide by 4. Don’t forget to add one page for your cover page. Then click the option that says ‘to the end of the book’. Now, I am picky. I like to control where all my photos go and I set each and every one. I make sure that I have the ‘Hide Used’ option checked off so I don’t reuse the same photo. Once it’s used it will vanish from the photo strip. 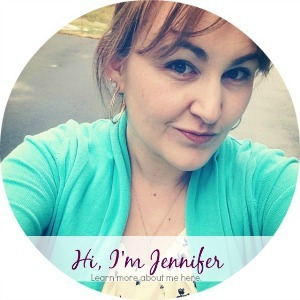 On Instagram I love using borders. On my books I’m not a fan. I just want as much of each photo to be able to show. You can easily edit it out by double clicking the photo. Then when the photo pops up you can crop the photo in. You can also make a few other edits this way if need be. Repeat this on any photos you want to edit. Do this for all your photos on all your pages- UNLESS you had less than enough photos and than I do this a few times throughout the book with my favorite photos, especially if I use multiple photos on my cover. This rarely happens to me. Maybe twice a year. Maybe. Speaking of the cover. Go back to it. Remember the photos I told you to think about? Put them there. If you are like me you will have picked new photos and have to redesign this page. I always do. Make sure you click the ‘Unhide Photos’ option so you can see them all again. Click Save. Now that you have the pages filled you need to go back and take care of the cover and the title page. It bums me out that this is one of the smallest books I’ve made because it really was a struggle for me to do these pages. Normally it’s because I have too many photos but this month I actually had too few. On the title page I like to use a photo as the background. I take lots of landscape/nature photos through the month and I usually use one here. To do that pick ‘Backgrounds” from the left side and at the bottom there is an option to “Use picture as background”, click that. Now go over to where you chose to hide your photos as you used them. All your photos will reappear. They will all show a little green circle with a check mark at the bottom. This shows the photo was used. Click the photo you want and it should appear in the background on your book. Then go and choose your photos you want for the main photo. Here’s how mine ended up. Now all you have left is the cover. Again since it was a low photo month I kept it simple. I always try to include all three of my boys. Johnny is at an age where he avoids the camera so there are times I don’t get a great one of him. 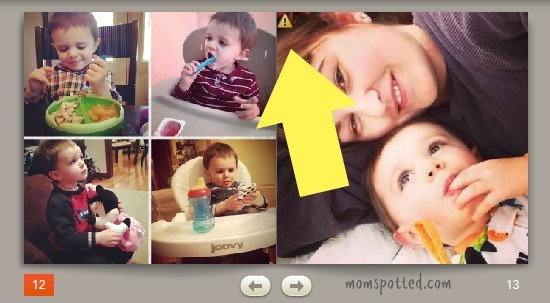 Another reason why I started using my Hubby’s pics too. When you are sure that you have the book EXACTLY how you want and have hit save. Then click ‘Preview’ from the top menu. See photo. Go through each page and make sure all the photos come up. That all the pages have photos and that everything is exactly how you want it. If everything is good click order. If not click done. Now one thing you might be curious about are those yellow warning signs. Those are telling you the resolution is low. There is a chance your photo could print blurry. If you decide to continue to use that photo then you need to realize you are taking that risk and you cannot go back to Shutterfly and be upset for poor quality. However, I have been using my IG photos regularly like this and haven’t had an issue yet in my 8×8 books. If you are making anything bigger be careful. As you can see I’ve used the year to find the best ways to make the most of my photos and to showcase them. Hopefully, I’ve been able to do the same for you. I really hope you decide to make a few of these! You really will like them. 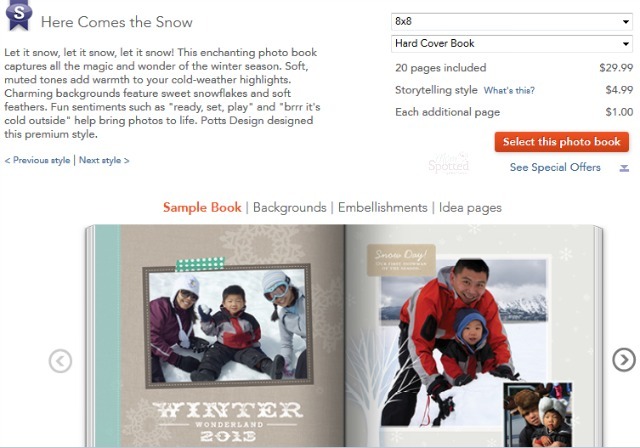 I use Shutterfly for all my photo printing services: photo books, calendars, prints, invitations, and so much more. If you’ve never used them before I *highly* recommend them. If you click through the above banner you’ll even get 50 FREE prints when you sign up. If you have any questions PLEASE feel free to ask in a comment. I will try my best to answer your questions! Good Luck & Happy memory saving! Make sure to follow me on Instagram too! What an amazing tutorial. You have inspired me to start doing this. 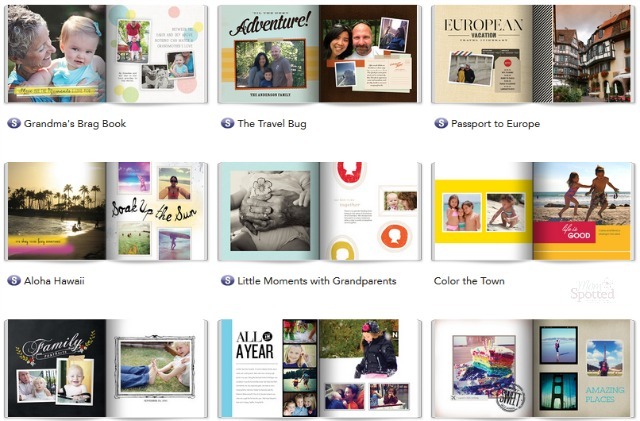 I have used Goovebook in the past, but this way is so much nicer and I know my kids would love to have these when they grow up! Thank you! Very detailed and thorough! i never knew you can do it that way! Thank you so much! Oh wow, what a great idea! I had no idea you could import directly from Instagram!!!! I have saw you mention these several times and I’m so glad you made a tutorial. I didn’t know I could import from Instgram. Definitely going to make a few! 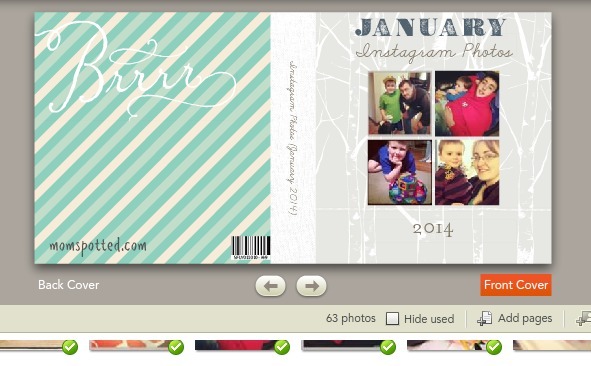 I love making photobooks on shutterfly esp w/ photos from my Instagram! I like how in-depth your explanations were…will make it easy to walk through and do it myself. I didn’t even know you could import from Instagram but now that I do, I’m going to start one of my own photo books! I have friends that create photo books for their kids every year as a keepsake. I’m lucky if I get them off my camera and onto FB or Instagram! I would love to create some kind of cool book for my girls. 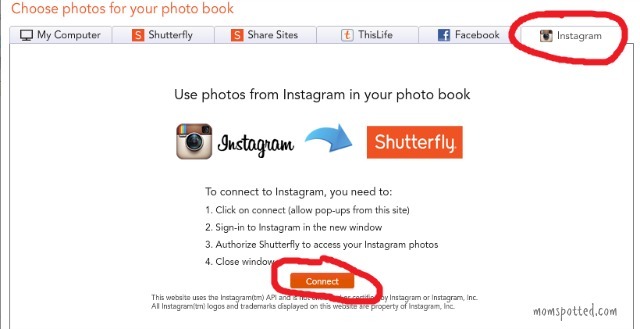 I haven’t tried using Shutterfly with my Instagram photos. I have had a couple of photo books made and love them. I need to have all of my old, bulky albums remade into nice books that actually fit on a bookshelf and look nice. Great post! A photo book has been on my to do list. 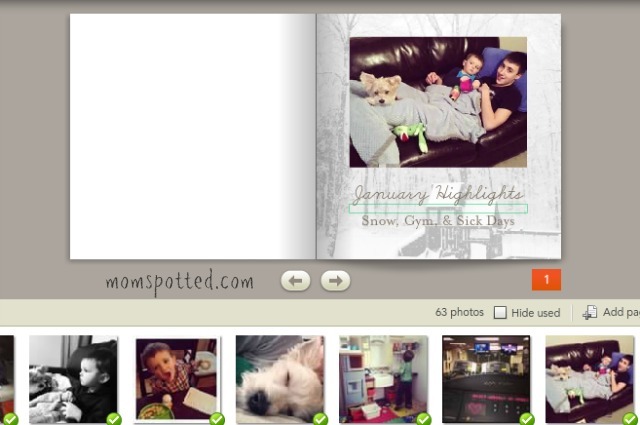 When I do decide to do it I will have to keep Shutterfly in mind. Thank you for the detailed instructions. I need to do this with my Instagram photos! 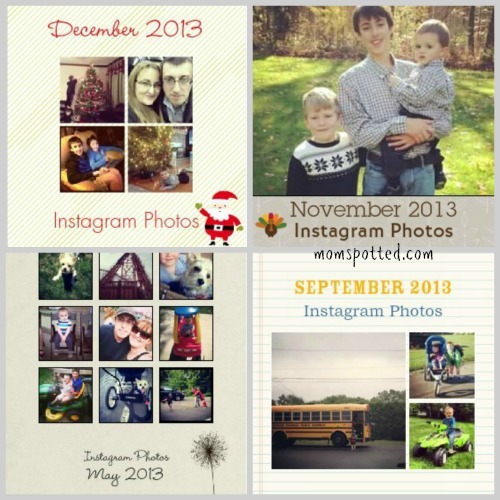 What a great way to showcase Instagram pics! I take so many pics with my phone but never thought to do a book like this. Great tutorial. 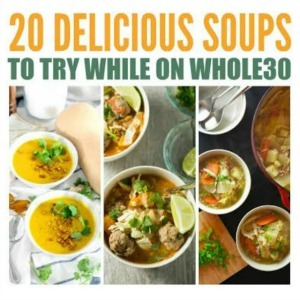 I may have to come back and try this so I bookmarked the page! I was thinking the other day that I need to take more instagram photos than I do. This will give me more incentive! What a cool idea!!! Thanks for sharing! I started doing this last year. I couldn’t decide if I wanted to do monthly or what. In the end I did quarterly. But each book is about 80 pages. LOL. But I have Jan ’13 – Dec ’13 in 4 books. 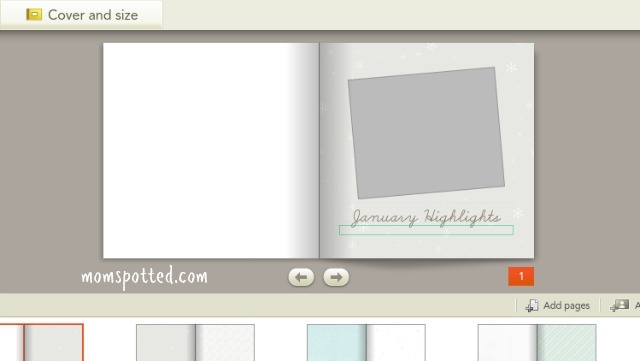 I absolutely love Shutterfy’s photo books. I had no idea they had an option to upload instagram photos. I’m definitely going to take advantage of that. Thank you for the detailed tutorial, I can’t believe how long that must have taken you. Once you get the hang of it you can make one in as little as 20 minutes since the basic outline is the same each month. You need to give it another try! You can definitely do this! Love how you broke down each step to make it super easy. Thanks for the tutorial! This is way easier than I thought it would be. It also tells me that I’m not pushing nearly enough photos out on Instagram. I need to take more! Love the idea of making a book with them. Ha! My biggest book had almost 200 photos in it! This is such a great idea. I have so many instagram photos! I totally need to do this! I have so many great pics of the kids on Instagram that need to be put into a book. This is also a really detailed tutorial. I love how you do these! I don’t take enough photos on Instagram to complete a book a month but maybe I could do a yearly one LOL! Shutterfly is wonderful. I don’t take many pictures of the kids for social media so this wouldn’t work, but I do make photo books about every 3 or 4 months of my favorites of the kids. Great tutorial! Thank you for this awesome tutorial! I take tons of photos and havent printed a single one since before my daughter was born. Terrible. I know. 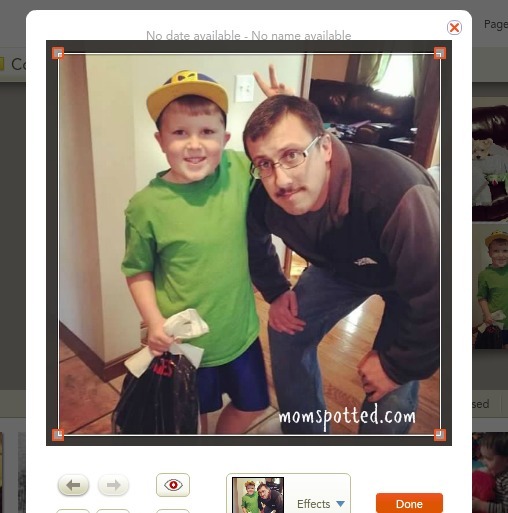 i love shutterfly. 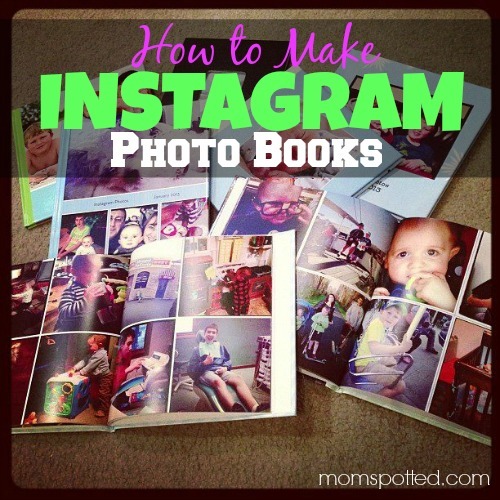 you can make a photobook out of anything with them and it is super easy to do and set up. I love this post! I’m obsessed with pics and LOVE making photo books! This is a great idea for instagram pics that I had not thought of. Thanks for sharing! !